Earlier this year, IR Magazine uncovered a glass ceiling and a gender pay gap in the IR profession. While there is an almost 50/50 split between men and women in junior roles, this changes at more senior levels, where 62 percent of the top IR roles are held by men. Women are also less likely than their male counterparts to earn more than $200,000. 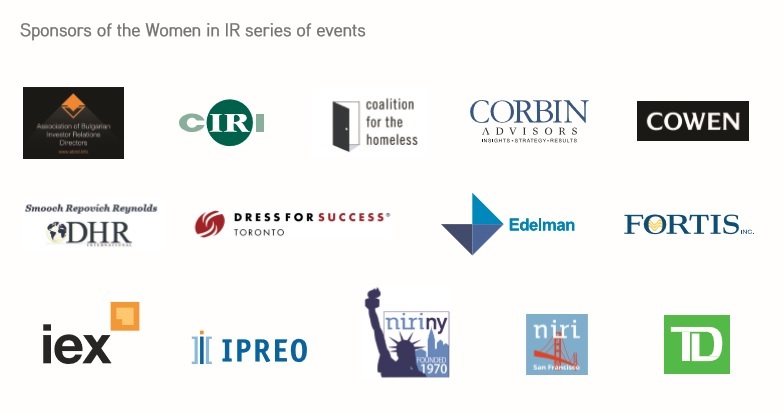 This research prompted a series of events around the world, highlighting outstanding female IR professionals who shared their career advice and recommendations for how to break the glass ceiling. In London, panelists debated whether quotas are needed to lead to more female representation in corporate roles – following the example of countries like Germany, Sweden and Norway, all of which have adopted board diversity quotas. A full summary of the event was published here. Reynolds asked each of the panelists to think about a game-changing moment that had occurred in their careers and explain what they had learned from it. For Julie Tracy, senior vice president and chief communications officer at Wright Medical Group, this moment had come in the form of a late-night phone call she received from a top shareholder after an earnings announcement that had surprised the Street. The investor wasn’t happy and kept talking over her, but she stayed calm, answered his questions and held her own. ‘I’ll spend as much time as you want on the phone with you, but you’ve got to let me finish what I’m saying,’ she told him, a comment he’d apparently never heard before. Years later she was told by the investor the firm would have sold its stake if no one had picked up the phone that night. Katherine Vyse, most recently senior vice president of investor relations at Brookfield Asset Management, was told by a friend that she was carrying her own glass ceiling around with her – meaning she was allowing a lack of confidence to get in the way of her career development. This was a message that stayed with her and when she recently served on the board of Mainstreet Health Investments, she jumped at the opportunity to chair the remuneration committee. ‘I truly believe I can figure anything out,’ she said. This article originally appeared in the winter 2017 issue of IR Magazine.